In this project, we will use an Arduino Mega2560 board to drive ILI9341 3.2″ touch screen. Put the screen into shield first, then connect the shield to Arduino, it is quite straight forward. 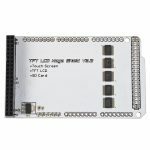 3)Download and install UTFT and URTouch library file from following link and copy them into Arduino library folder. If you already have UTFT library in Arduino, you need change dsy array in UTFT.CPP under UTFT folder. you can use these files to display sample graph, calibrate screen, test touch, and draw lines. 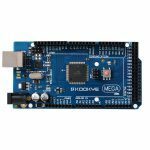 Before loading these ino files into Arduino, you should go to Arduino IDE ->Tools->boards and select Arduino MEGA 2560. Otherwise your code might not work. Note: UTFT library defines ili9431 device code is ITDB32WC, so make sure the first argument of MyGLCD function should be ITDB32WC (i.e. myGLCD(ITDB32WC,38,39,40,41)) , If your screen have changed, you should change the value as per definitions in UTFT.h under UTFT library folder. 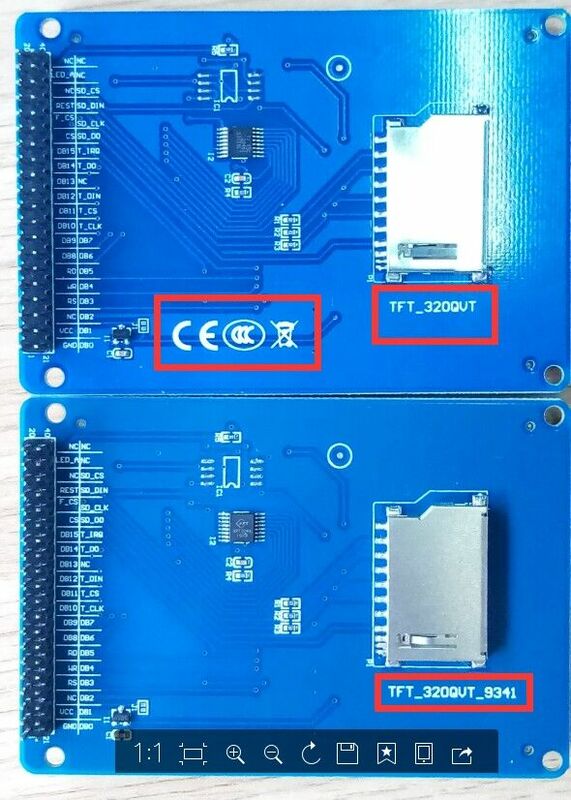 There are serval version of our TFT LCD screen, Please try the following code one by one, if the touch screen does not work. I don’t see a UTFT.cpp or UTFT.h file in your UTFT download link. Are you sure you posted the right one? I tried using a UTFT library from Rinky-Dink Electronics, but it just results in a grey screen.